SCV Recruiting Event: “Civil War” Reenactment at Fort Stevens, August 30th-Sept. 1st. SCV Camp 458 and some of us from the Pacific NW Division Board, will be having a recruiting event at the Fort Stevens State Park “Civil War” Reenactment. It will be on August 30th thru September 1st. We are be bringing our Camp merchandise and recruiting literature. We will need volunteers to help man the booth. Please let me know if you can make it. This entry was posted in Uncategorized on August 14, 2014 by scvpacnw. On August 30th thru September 1st, Ft. Stevens will be having its annual “Civil War” Reenactment. I’m checking to see how many SCV members would be interested in helping out if we had a recruiting table at this event? There will be a very large amount of foot traffic going by our booth, so we will have a great opportunity to promote the Sons of Confederate Veterans. 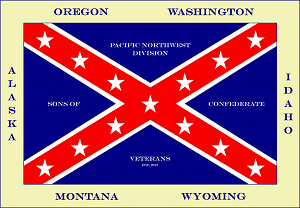 The SCV has a reciprocity agreement with the NW Civil War Council, that allows us to set up a recruiting table at no charge. This entry was posted in Uncategorized on August 5, 2014 by scvpacnw.